I must admit I am shocked: not one, but two things that should’ve never happened just happened and both are related to what I considered to be a trustworthy and pro website: IGN. In other words, the website posted a review that had nothing to do with the game reviewed, gave it an insanely low score and now, probably in order to “fix” the problem, they have completely removed the review! However, the shocker came today when I went to IGN’s website to check the US reviews of FM2009: the review simply disappeared and there was no note announcing that. I can understand that IGN probably understood that the problem review was a big, huge error, but that’s not how you should deal with your mistakes. And this will probably hurt IGN big time – or most likely just the reviewer who posted. Meanwhile, you can go check our own Football Manager 2009 review. Update: IGN US has posted an “excuse message” instead of the removed review. 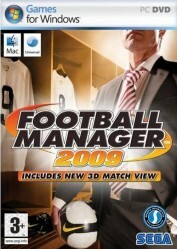 “We missed the mark — that’s the only way to explain why we’ve pulled the U.S. review of Worldwide Soccer Manager 2009 off our site,” writes Jeremy Dunham, Games Editorial Manager and promises that a “more accurate” review will be posted soon. So… what’s your opinion on the matter? Really? you expected more out of a US reviewer for a soccer game? Now, add the US’s apparent disdain for the real football, and the non savvy of a U.S. “nerd” reviewer, and your recipe for disaster is complete.